“Every sax player searches for the ultimate mouthpiece. Over the years I have collected a shoe box full of them! My search ended when I tried the Jody Jazz DV Tenor 7* for my tenor sax. Jeff Kashiwa is best know for his tenure with the Rippington’s from 1989 to 1999. 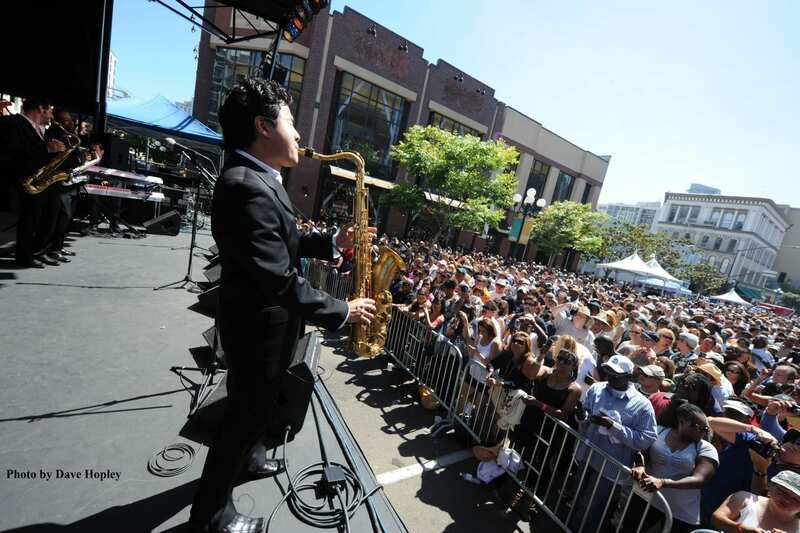 Many smooth jazz fans were taken by surprise in early 1999, when Jeff Kashiwa left the Rippingtons to devote more time to develop his career as a solo artist, but in truth, the popular saxophonist has always had his eye on striking out on his own. While at Berklee, Jeff auditioned for, and won, the second alto spot in Disney’s All American College Band and fell in love with Southern California after playing a summer at Disneyland. While working on his Bachelors of Music at Cal State Long Beach, he hit the road for a while with the ska/reggae/R&B outfit The Untouchables, which played MTV’s first Spring Break. Guitarist Richard Smith was a teacher at Long Beach at the time and hired Kashiwa to play with his band and record on his first three albums, the saxman’s first professional experience playing smooth jazz. Kashiwa was paying major dues working for a grocery chain by day and playing weddings on the weekends when he met then-Rippingtons bassist Steve Bailey, whom he hired for a gig. 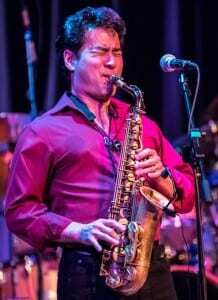 Bailey introduced the saxman to Russ Freeman, and later when the group’s original sax player, Brandon Fields left, Kashiwa was hired for one gig in Racine, Wisconsin during the Tourist in Paradise tour. He played so well that Freeman hired him full-time. Kashiwa can be heard on a number of soundtracks for movies and television, including the main theme for ABC’s All My Children. He has also donated numerous recordings to charitable causes and his commitment to education has made him a popular clinician at many public schools and universities nationwide. For the past six years Disney has hired him as an alumnus teacher for its College Band program.